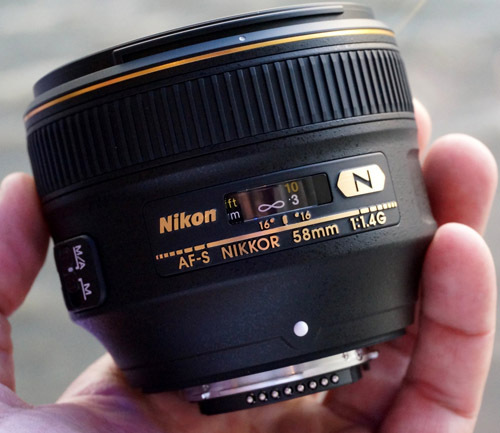 The AF-S Nikkor 58mm lens is a FX lens designed for Nikon’s Full Frame SLRs. Nikon says it has increased sharpness, contrast and resolution. The speed of this lens makes it ideal for nighttime city scenes or other low light situations. According to Nikon, the vignetting which is often an issue with large aperture lenses is controlled so images will be of a uniform brightness. The lens will be available later this month for about $1600.